Professional translators know that translation is not easy. Clients have unreasonable demands, the deadlines are unrealistic and rates don’t reflect your hard work. All these factors can lead to a reduction in quality of work. Add to these the fact that freelance translators often work in isolation, so when under pressure, they may fell alone and helpless. Being a solopreneur means investing in the most valuable asset of your business: yourself. So booking on this CIOL event was a no-brainer. For once, my train to London was not late and I arrived in time to register. I was welcomed by familiar faces, grabbed a cup of coffee and started catching up with colleagues. Too excited for the day ahead, I made sure to go into the seminar room early to reserve a seat for myself in the front row. 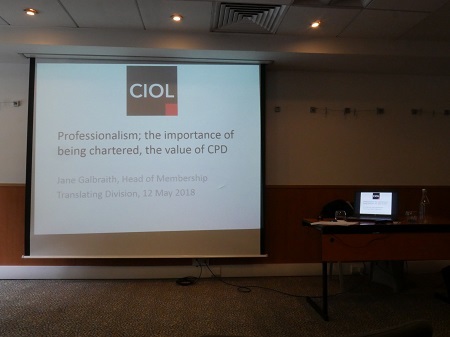 The Translating Division Chair, Liz Guyatt, welcomed us and introduced the theme of the day: productivity, quality of life and how the two can interact and feed into each other. Konstantin Kisin, English-Russian translator, interpreter and stand-up comedian started his talk on productivity. And why productivity? Because productivity means being competitive and happy by saving time, earning more and feeling stimulated. But how do you become productive is the million dollar question. An important thing to remember is that wherever you are right now, there is a good chance for progression. So for example, if you’re producing 2000 words a day today, if you continue working as a translator, deepening your specialisation, this time next year, you’ll be able to deliver more. Have you ever wondered if you could learn to translate more words than you currently do each day or if there are things you could learn to become more productive? Have you stopped to think how focusing on your wellbeing could also improve your productivity? 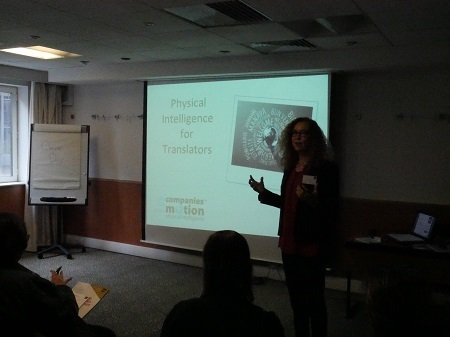 This event is aimed at translators interested in enhancing both their productivity and their wellbeing. Konstantin Kisin is a highly successful legal, financial and video games translator. 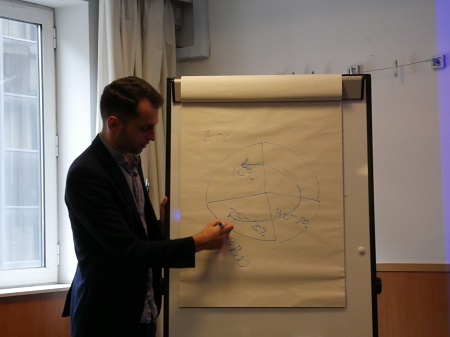 A regular speaker on the business side of translation, Konstantin has extensive training in the psychology of communication and human behaviour, which he has shared with hundreds of translators through his popular webinars, online talks and conference presentations. Known in the industry for his original thinking, humour and passion, he is engaging, entertaining and informative in equal measure. Claire Dale is a Movement Specialist, the leading exponent of Physical Intelligence, and author of a new book on this subject to be published in September 2018 by Simon & Schuster. At Companies in Motion she has a team of coaches, working with people from board level down to newly hired employees to help them achieve peak performance in challenging work environments. In addition to being founding director of Companies in Motion, Claire is part of the elite team at RADA in Business, coaching the body and voice for powerful communication. 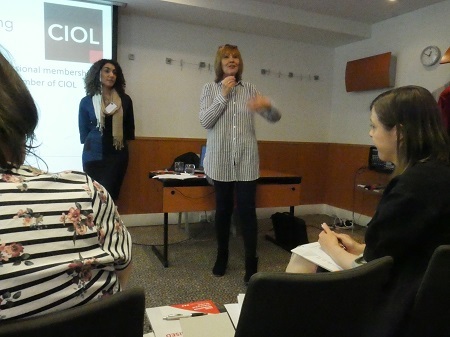 Her highly charismatic facilitation and guest speaker skills have engaged individuals and training audiences at National Express, Sony, Bank of New York Mellon, SAGE, Coca Cola, J.P.Morgan, Euroclear, Vygon and Hogg Robinson Group. With a background in Contemporary dance, Claire led her own dance company to European critical acclaim during the 1990s representing Great Britain in a number of high profile Contemporary dance seasons. She has also created works for Sir Paul McCartney, Alsop Architects, CandoCo and L'Oreal, and has a BA (Hons) degree from Trinity Laban, London.